Deze cursus is bedoeld voor degenen die de eerste helft van niveau B1 hebben afgerond. Alle vaardigheden komen aan bod, maar spreekvaardigheid staat voorop. SluitenMaandag 14/01/2019 - 10:00 uur. Maandag 21/01/2019 - 10:00 uur. Maandag 28/01/2019 - 10:00 uur. Maandag 04/02/2019 - 10:00 uur. Maandag 11/02/2019 - 10:00 uur. Maandag 18/02/2019 - 10:00 uur. Maandag 04/03/2019 - 10:00 uur. Maandag 11/03/2019 - 10:00 uur. 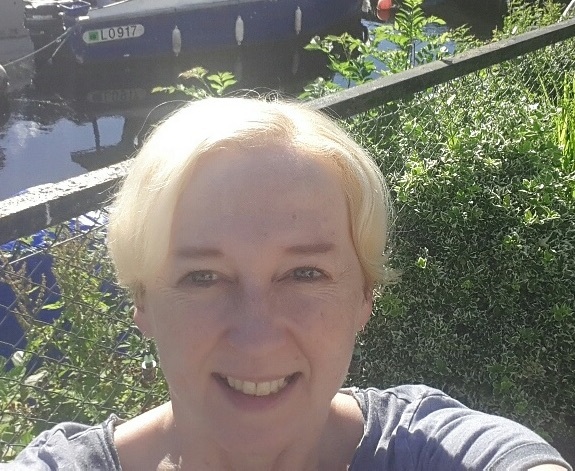 "I am a native English speaker from Northern Ireland and I have been living in The Netherlands for 17 years. Before training as a teacher of English, I worked for the United Nations for 12 years here in The Hague. I have a Master of Science (environmental studies) but as well as environmental issues my grand passion is language, from linguistics and etymology to English, Irish and Russian literature and poetry. I am also a self-published author and am currently working on my second novel. I live in The Hague with my Dutch partner and our three cats."